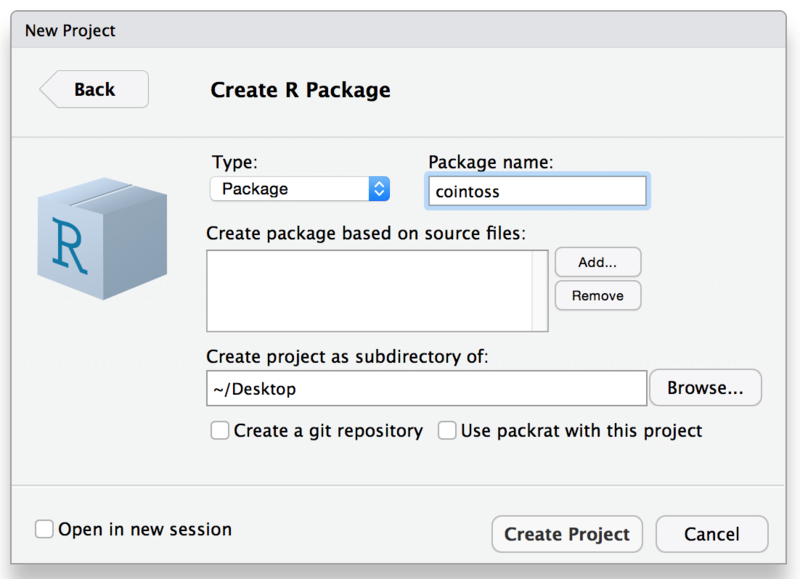 3.6 Print Method for "coin"
5.2 Motivation for object "toss"
In this chapter you will learn how to quickly build an off-the-shelf R package (in less than a minute) following the default options provided by RStudio. I prefer to show you this option first, before describing how to create a package with the functions of our "coin" and "toss" objects. 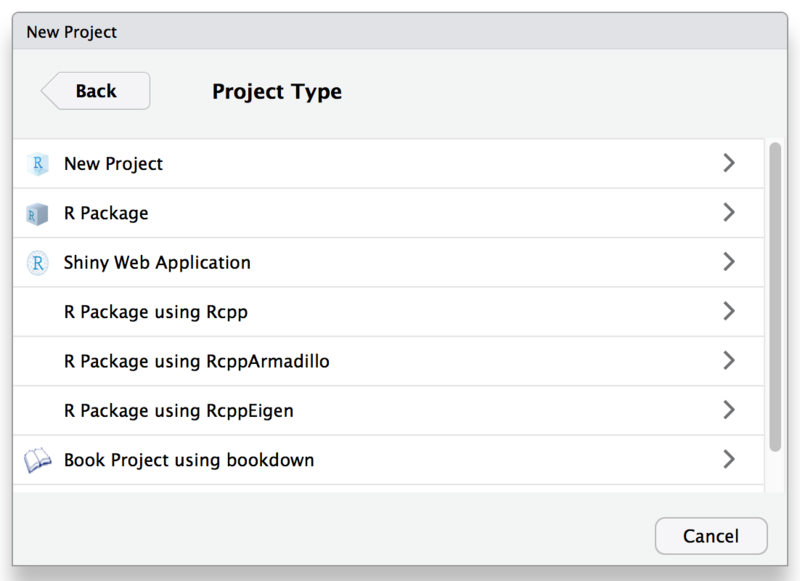 Nowadays you can create an R package in an almost instant way. 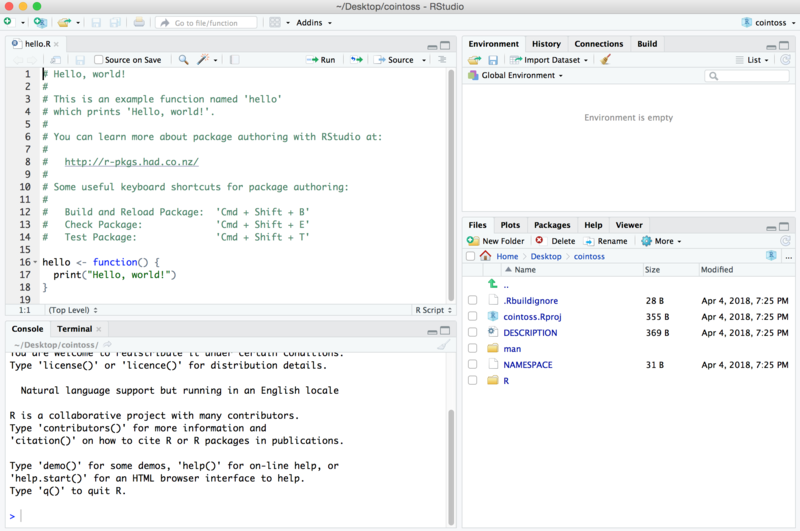 Here’s the list of steps to follow in RStudio that allows you to create the structure of a package from scratch. 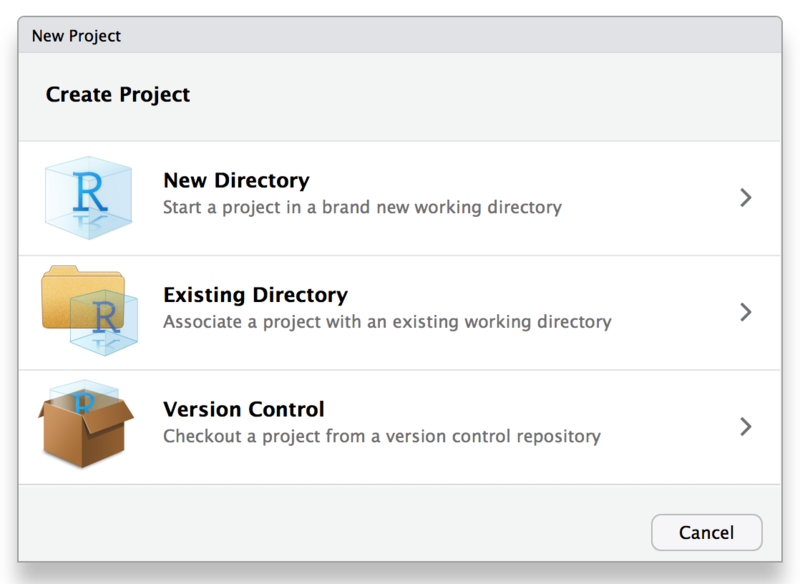 DESCRIPTION is a text file (with no extension) that has metadata for your package. Simply put, this file is like the business card of your package. NAMESPACE is a text file (also with no extension) that is used to list the functions that will be available to be called by the user. The R/ directory which is where you store all the R script files with the functions of the package. The man/ directory which is the folder containing the Rd (R documentation) files, that is, the text files with the technical help documentation of the functions in your package. 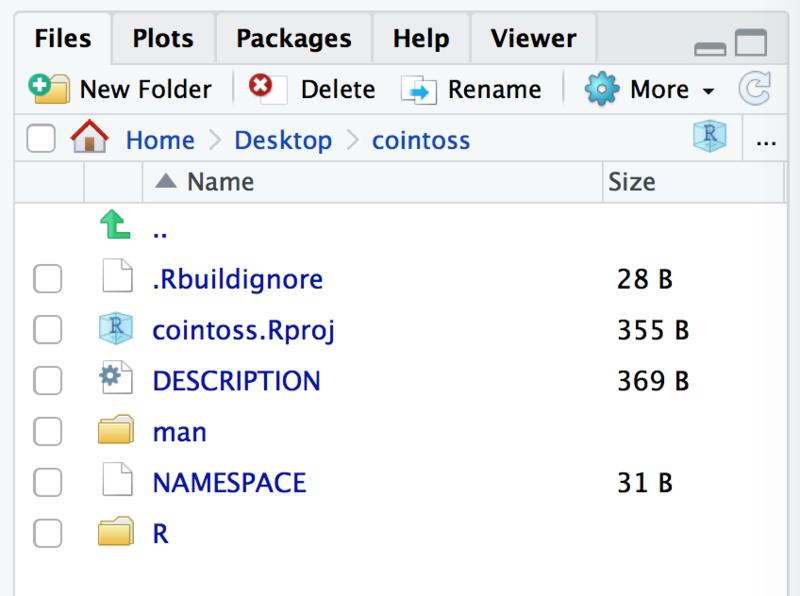 cointoss.Rproj is an RStudio project file that is designed to make your package easy to use with RStudio. .Rbuildignore is a hidden text file used to specify files to be ignored by R when building the tar-ball or bundle of the package. 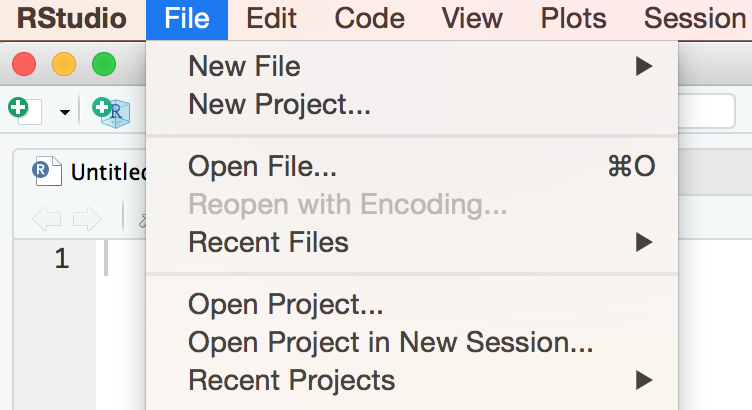 With the hello world content automatically created by devtools, you can quickly build a tiny package. In this case, there’s only one function, the hello() function, that simply prints a hi message. 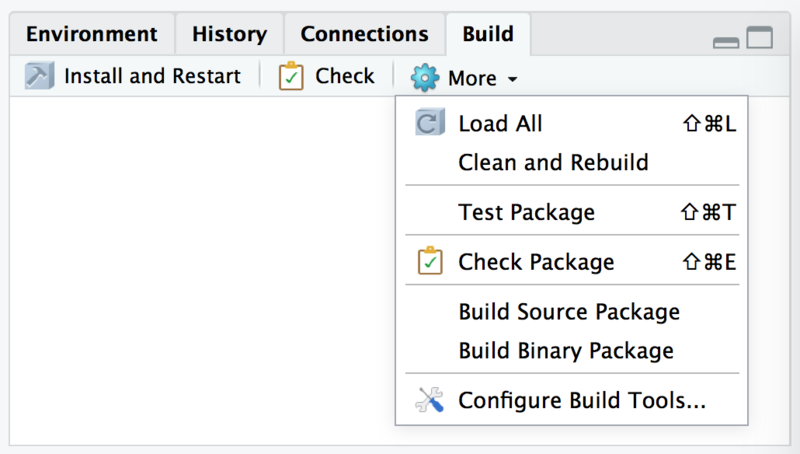 Alternatively, if you go to the Build tab, you will find the Install and Restart button, the Check button, and the More menu with additional building options. If you find this resource useful, please consider making a one-time donation in any amount. Your support really matters.